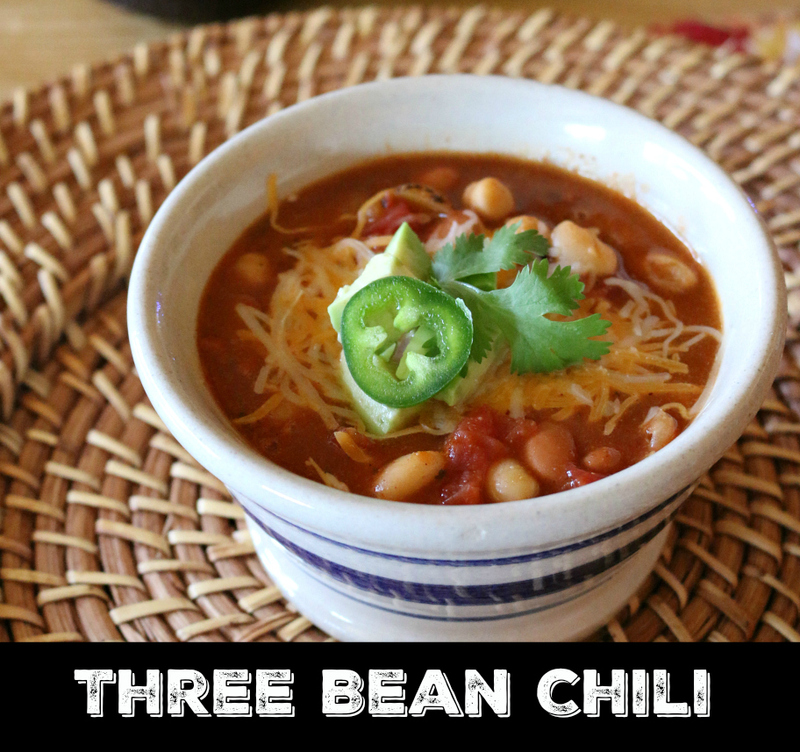 Three Bean Chili – an easy and spicy southwestern chili recipe made using three types of beans and red enchilada sauce. The key ingredient is chipotle sauce. 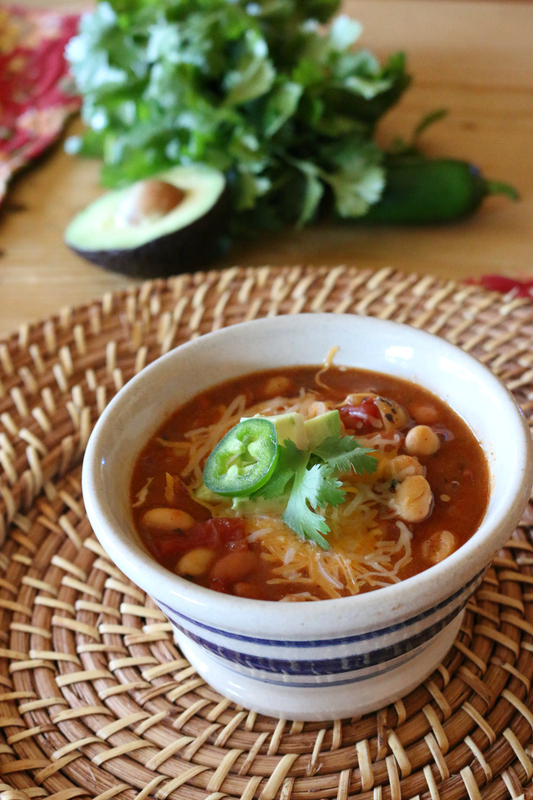 It gives this chili a smoky flavor that will send you taste buds into overdrive. Garnished with fresh sliced avocado, jalapeno, cilantro leaves and shredded Mexican cheese blend. This is perfection in a bowl. No joke! This is the best gluten free chili recipe ever. I used a prepared gluten-free enchilada sauce as one of the main ingredients. You are going to go nuts over this chili. It is the bomb. Not only is it gluten free it is perfect for anyone on a low sugar diet. The spicy flavor comes from added chipotle sauce and some herbs and seasonings. This simple by flavorful chili is perfect for a week night dinner option. I think it would be amazing served over a baked potato, or over a grilled hot dog - to make the perfect chili dog! And all on its own it is very healthy - for a vegetarian meal. In a medium pot add olive oil and onion. Cook over medium heat for 3 – 5 minutes or until onions are translucent. Season with garlic powder, oregano, cilantro and taco seasoning. Strain beans and rinse with water. Add two cans of enchilada sauce. Cook over medium high heat for 25 – 30 minutes. Garnish with cheese, avocado, jalapeno and cilantro leaves. For a VEGAN option - omit cheese as a garnish! 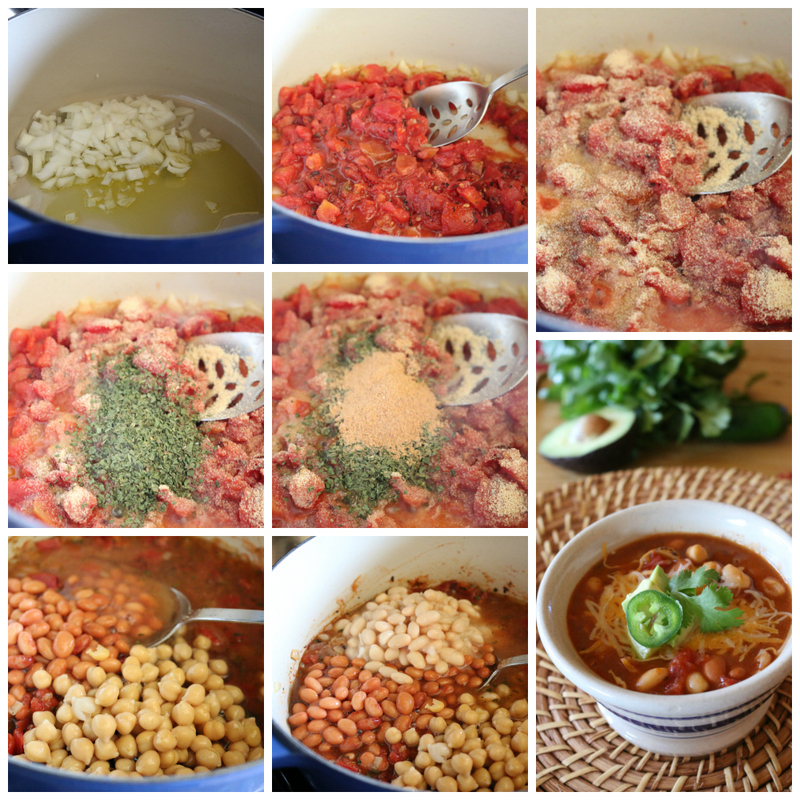 Let me know what you you think of this tasty chili recipe. Here in the desert southwest – we love our chili. This chile has a secret ingredient – well more than just one secret ingredient. It is a blend of herbs and spices that take this chili to a whole new level. If you love spicy food – you will LOVE this recipe. I also added a mild, medium and spicy guide line for you to use when using chipotle sauce. Let me know what you think. I am always looking for simple meals to make for my family. 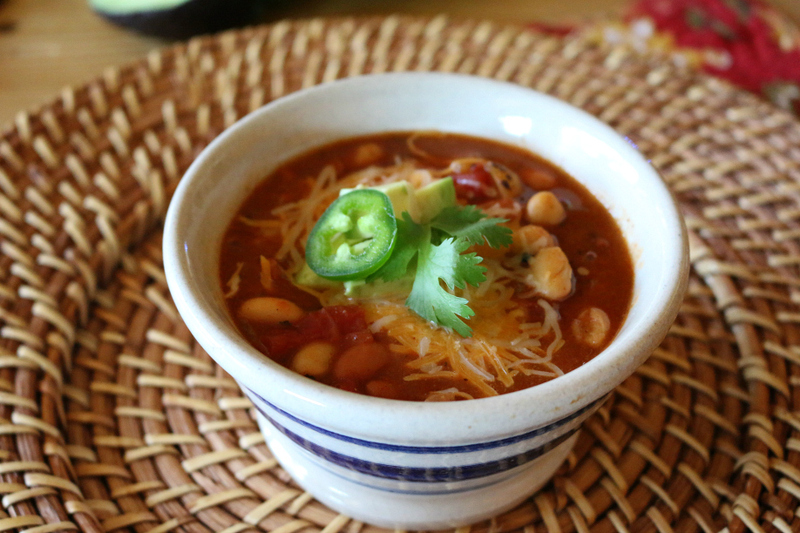 This Three Bean Chili Recipe is perfect for a weeknight dinner. What is great about this recipe is that you can add your own mix of beans. This is what I had on hand so that is what I used. You could easily substitute black beans, kidney beans, navy beans, or simply use all pinto beans. Whatever floats your boat.